As you might imagine, wildlife animals aren’t the best at picking up after themselves, so once our professionals have removed unwanted animals from your house, it’s time to get down and dirty to clean up any mess they made while they were there. Anything from feces to nests will be picked up and removed from your home as we set out to make it look like your unwelcome animal friends were never there at all. 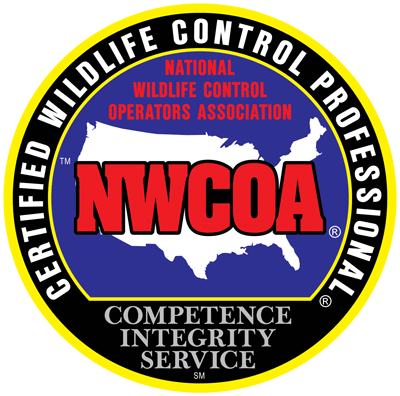 We offer wildlife entry repair services to locate, fix, and close up any entry points the critters used to get into your home as well as take measures to deter animals from coming back. So how do we keep animals out of the house? Products like Animal Away work to keep wild animals away by emitting a high-pitched signal that most animals want to stay far away from, and standard bird netting can protect home access points like vents. Getting rid of animals in your home might make you feel overwhelmed, but try not to stress out - ACS Animal Removal is here for you, and this is what we’re good at. We do this every day and we have the right skills and tools for the job. With over 25 years worth of experience in offering professional animal entry repair in Cincinnati, OH, you can count on us to get your house back to normal before you know it. From bats to birds, and snakes to raccoons, contact our office today if you know or suspect that your home is being overtaken by pesky wildlife. Our friendly crew will be out to your property promptly to relocate or exterminate them safely so you can go back to living life in a clean quiet house. Ask us about our available emergency appointments as well as several money-saving discounts!